At Coco, one gets to customize their dinner and tailor it exactly to suit their liking. 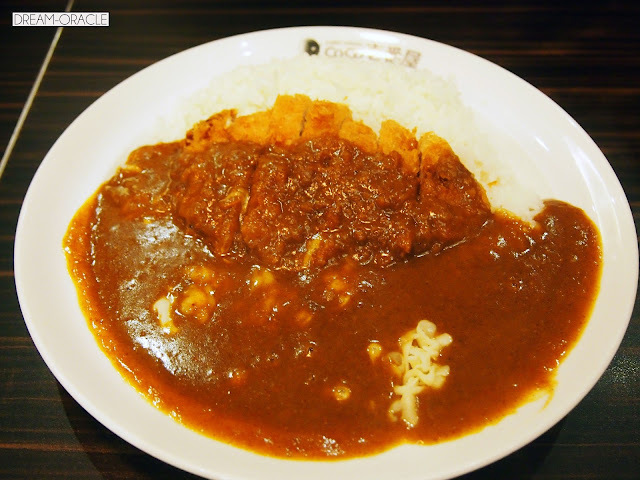 From the amount of rice to the spiciness of the curry, you get to choose it the way you like it. Which is a really interesting concept, because it plays on the human vainpot streak in us. 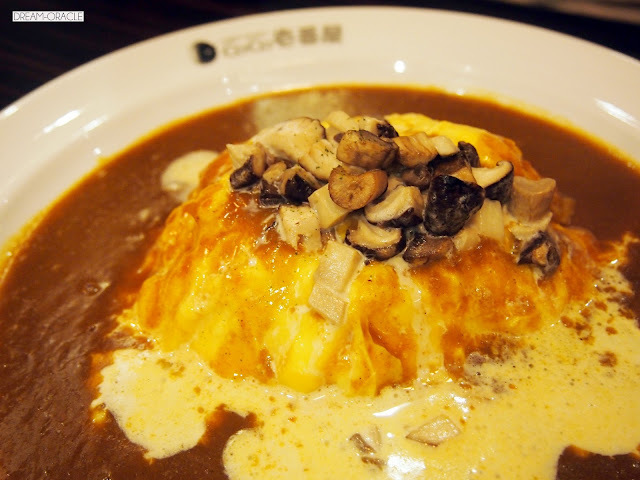 This is omurice with mushroom and cheese. I swear my dinner partners all love cheese. This one wasn't too bad, if given a choice I wouldn't be that adventurous but who am I so say this man. If you read on, you'll realize the adventurous one is me and I'm the one who made an ill-informed choice. One of my dinner partner's Cheese Curry. I think cheese and curry is a pretty weird marriage, but I tasted the curry. I honestly think that I've ordered the wrong dish. 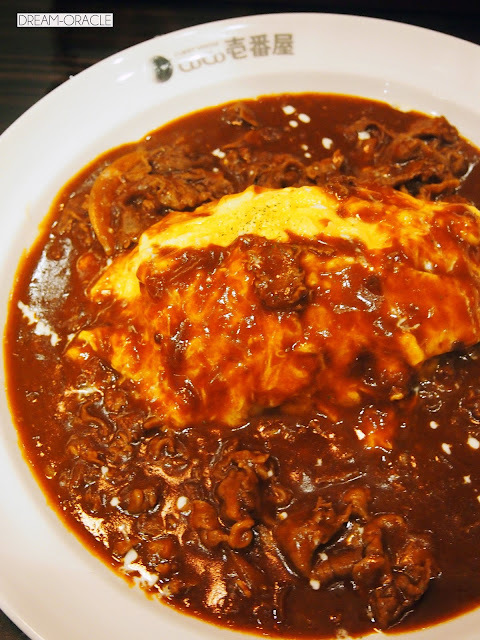 I was craving for omurice and hayashi rice. Really, it was such an intense craving, I HAD to satisfy it. Turns out I usually pick the wrong places to satisfy cravings. This dish is just mehhhh. Maybe it's me, because having tasted Ma Maison's superb Hayashi Rice, this is just complete rubbish in comparison. The fluffy omelette was excellent, and the rice was well-cooked. But therein lies the problem that this is Hayashi Rice aka Hashed Beef Rice and they did everything superbly EXCEPT perfect their beef. The meat were in huge slices, and the sauce was just..rather off. In fact, the whole dish reminded me some Cai Fan stall in the hawker center selling stirfried beef slices. This dish was weird with a capital W.
I am willing to give Coco another chance, and this time I'll probably try out their signature curry rice instead of being tooooo adventurous. But I wonder if their curry is better than Ginza Bairin's? Hmm..